A tiresome chore, or blessing in disguise? Where do claim construction charts (including Joint CC charts) fit in to claim charts? 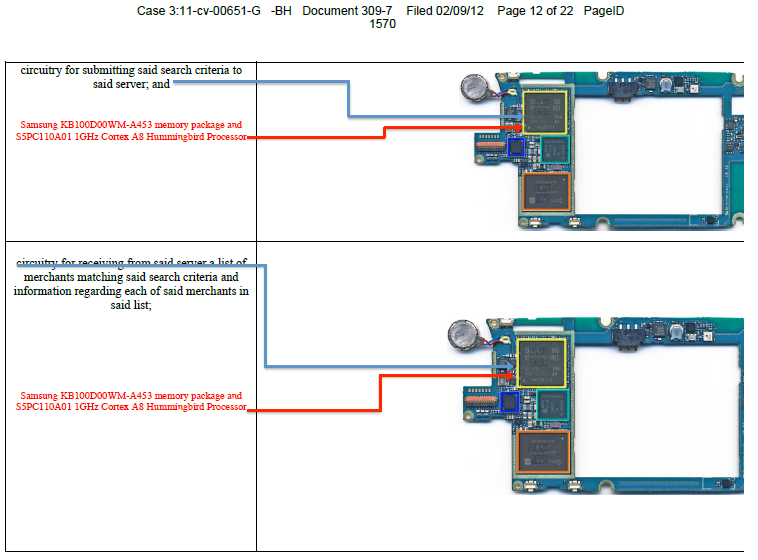 Not necessarily comparing patent claim to a “product”: the accused “instrumentality”, which may be a service, method of making product, offer, bid, demo, etc. Comparison actually not with accused instrumentality as such, but with information regarding it, which may include photographs, drawings, etc. Information on the accused instrumentality may have been produced in discovery, but at least for earliest PICs, will likely come from public materials (though marketing material is frowned upon), reverse engineering, etc. There is a single contention chart, with an initial version which will be missing some information supplied in the final version, but which generally will not propound dramatically different case theories from those in the final IC. 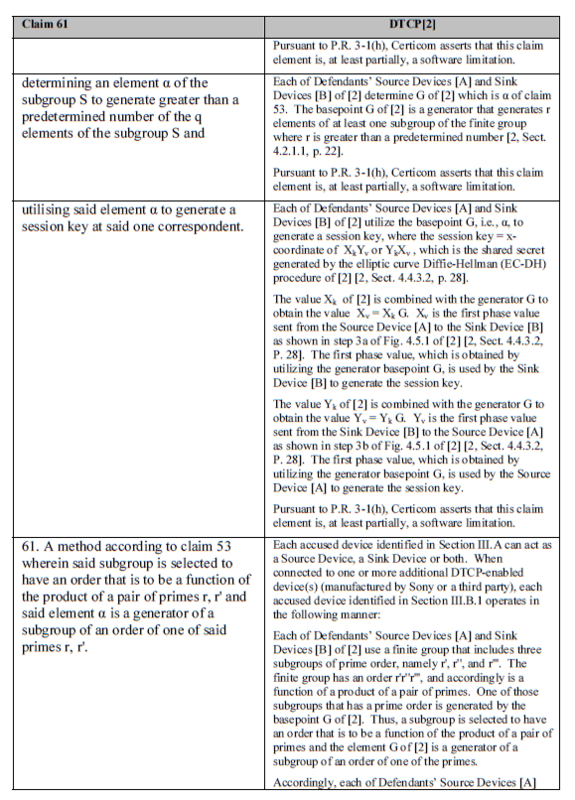 But without early commitment to a case theory (i.e., early non-preliminary claim charts), the result is “musical chairs” or “shifting sands” litigation, with dramatic changes to party theories of infringement and invalidity following the Markman ruling; see O2 Micro v. Monolithic Power Sys. Why are claim charts mandatory, early in litigation, in contrast to older deferred contention rogs? 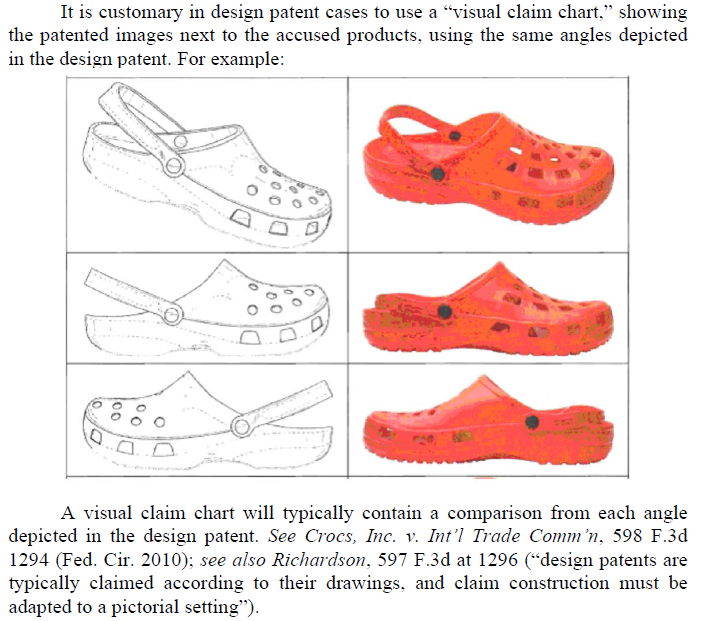 Quote basic rule for infringement charts from e.g. ND Cal, ED Tex, etc. How identify “where” for method, or for negative limitatons (e.g. “without noise”)? 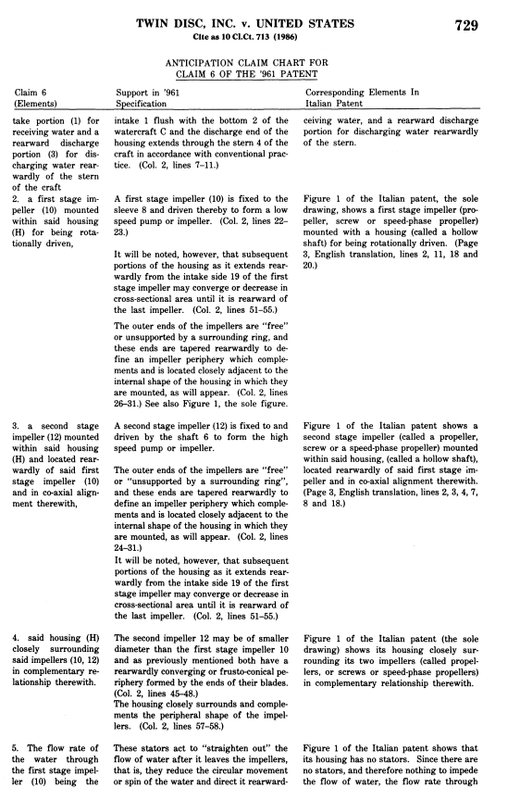 Case law interpreting LPRs: ND CA, ED TX, etc. 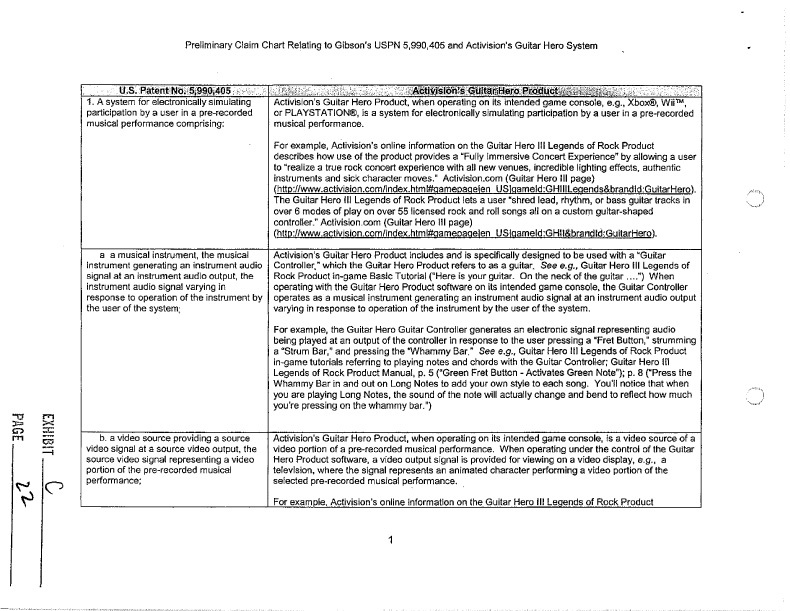 Claim chart requirements under proposed federal legislation (Goodlatte); will old LPR-based claim-charts cases provide authority for statutory claim charts? 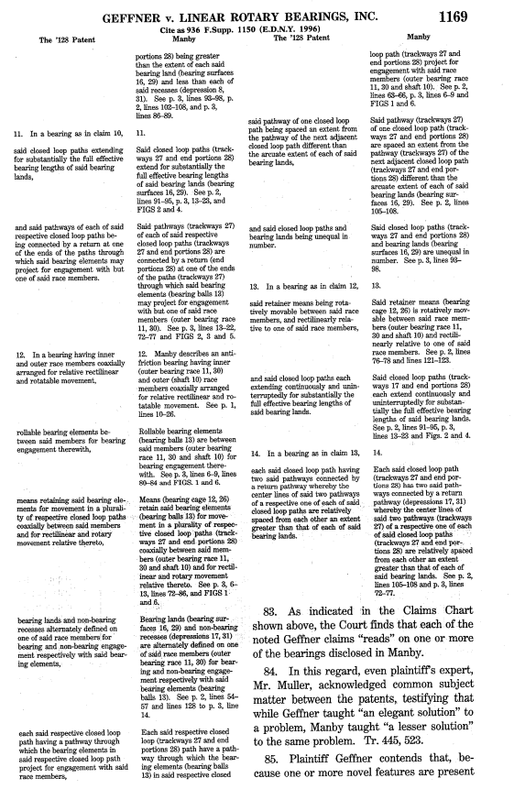 What makes a claim chart inadequate? Order to quickly amend, within 30 days; note relation to duty to supplement? 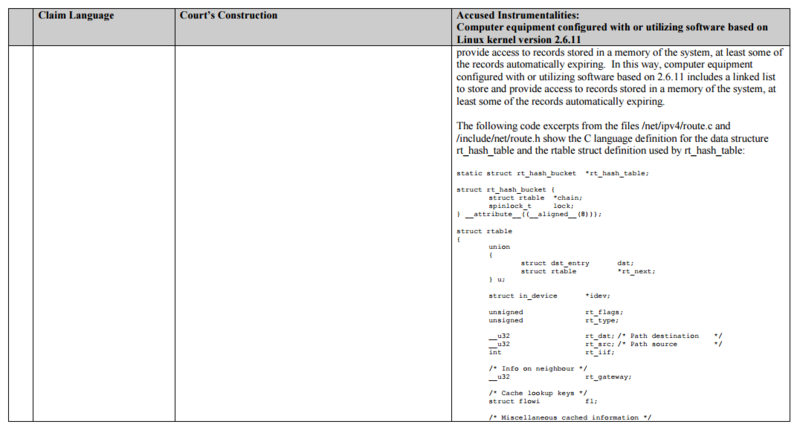 Impact of post-discovery source code on pre-filing reverse engineering: “Catch 22”? 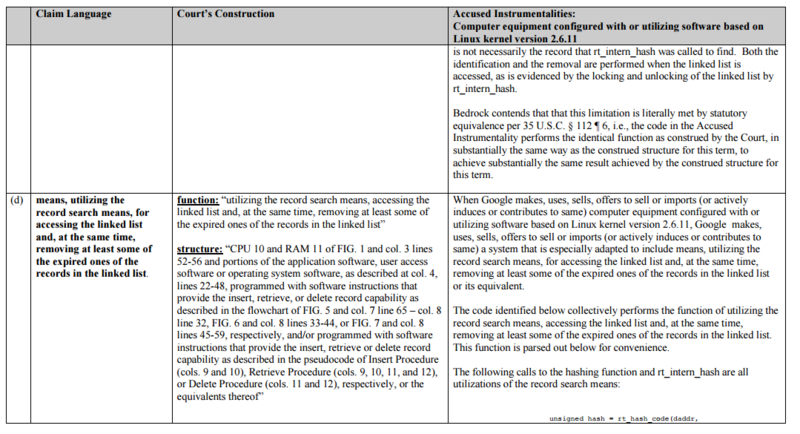 Software as flour barrels: res ipsa loquitur for high tech? 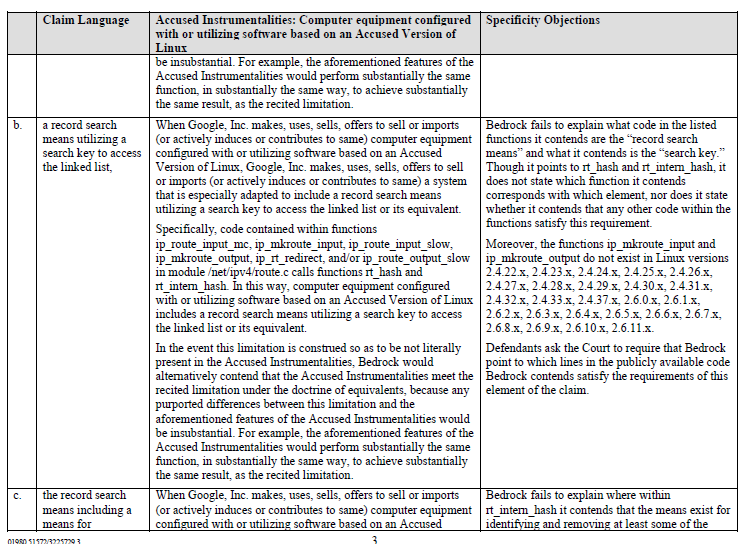 What can be learned pre-discovery by reverse engineering software products & internet services? 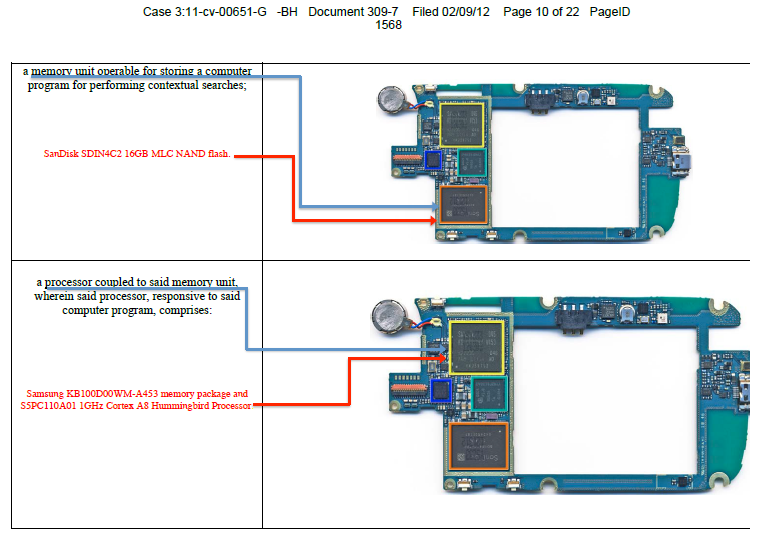 Has someone else already done a product “teardown” or reverse engineered the product? Other ways of showing DoE, apart from F/W/R; DoE “factors” from Graver Tank and Warner-Jenkinson: known interchangeability, evidence of copying vs. design-around, etc. 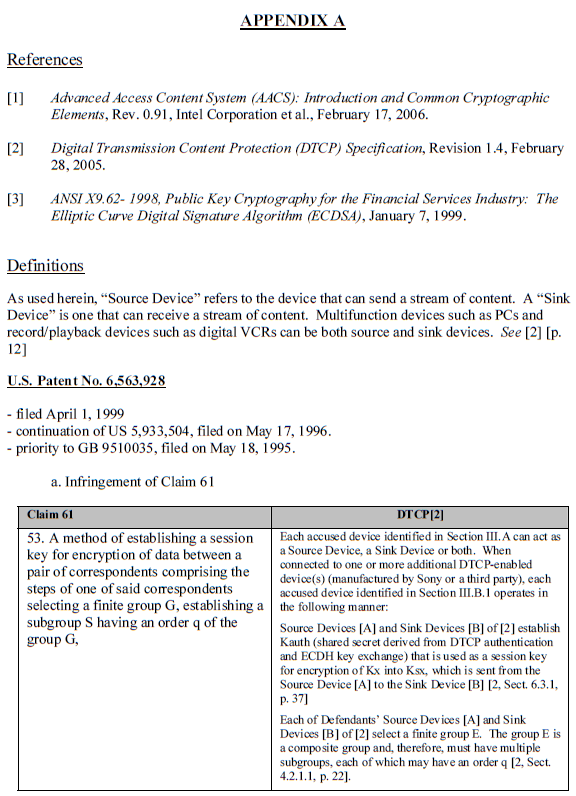 http://www.usitc.gov/secretary/fed_reg_notices/rules/itcrules409.pdf: “A showing that an industry in the United States, relating to the articles protected by the patent exists or is in the process of being established. 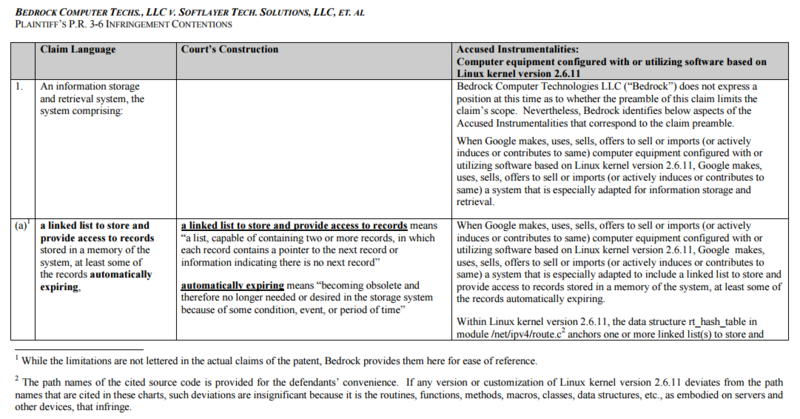 The complainant shall make such showing by appropriate allegations, and when practicable, by a chart that applies an exemplary claim of each involved U.S. patent to a representative involved domestic article or to the process under which such article was produced…”; contrast this “exemplary” claim chart to show domestic industry, with charting every claim for which infringement is asserted. Domestic industry can be shown with licensee working/practicing, even an unwilling licensee from earlier litigation. 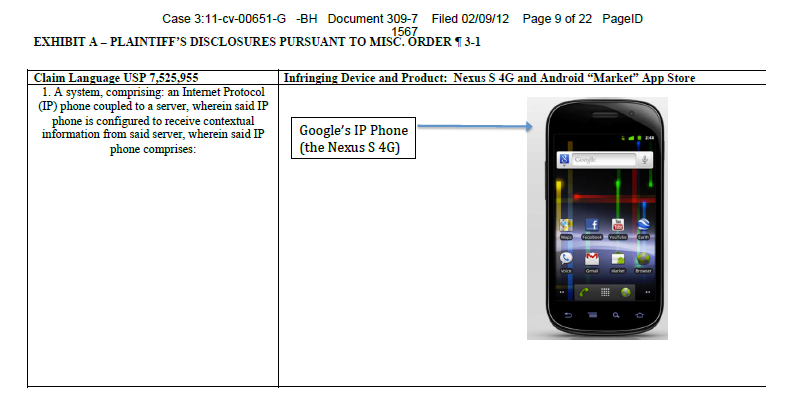 This chart may be more akin to a copyright-infringement chart than to a patent-infringement chart because, rather than showing that code x2 infringes patent claim y, it may be sufficient merely to show that x2 is not “colorably different” from enjoined code x1 which was already found to infringe y. What can and should be omitted? Which instrumentality is being accused, or reference being asserted? Not only name & model number, but version number, software platform, etc. “If known”: reasonably accessible, readily available, available with diligence? What date ranges are relevant? Right column date(s): when was product released? ; specific accused version? Documents, testimony, etc. used to show product infringement: from relevant time period? or forward-looking, speculative, or outdated with respect to accused product? What type of infringement is being asserted, and do the claim type and facts align with it? 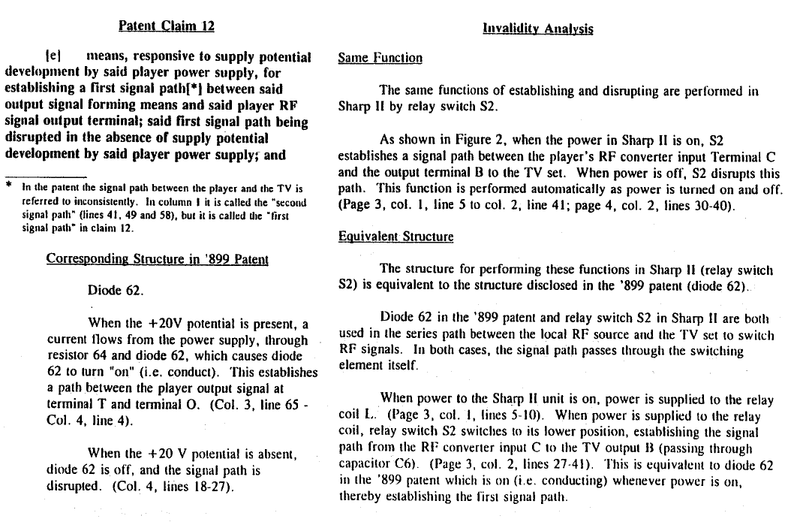 “Directional” claim types (e.g., receiver, transmitter, server, client): do facts face in same direction? See also Schulman forthcoming Source Code book chapters on discovery, PO, pre-filing investigation, etc. 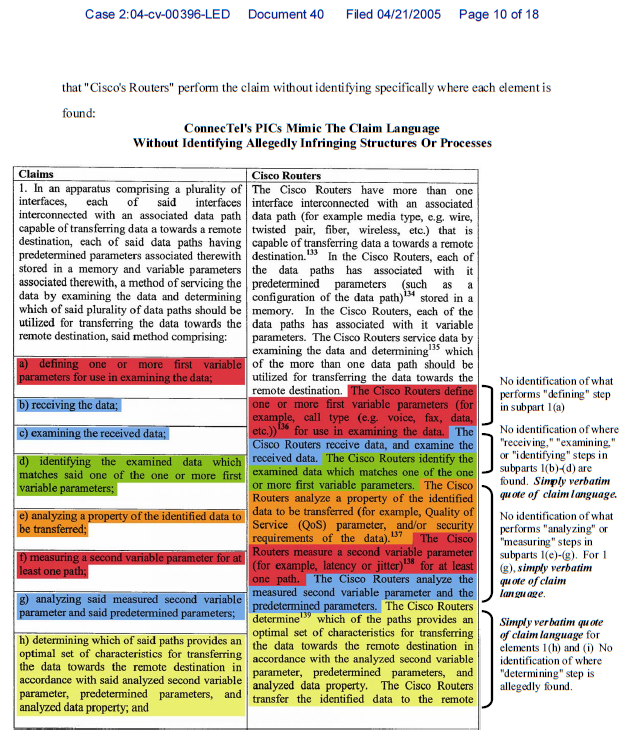 Because charts are often prepared by technical consultants/experts, the chapter concludes with a quick non-attorneys guide to claim construction: claim differentiation; appropriate use of specification; handling “means for” claims; using range and variety of examples in spec as guide to scope of limitation, etc. Specifically how is the chart’s right column (RC) related to the left column (LC)? 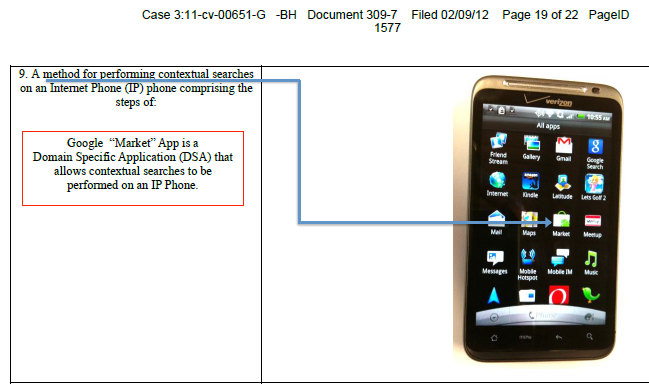 Case law re: “corresponds to”, “reference is made to” (Sutton v. Nokia), “See”, etc. Extracting common limitations: “parts is parts”? Searching, not just reading: look for what the chart doesn’t say, e.g. is there something for each accused product for each limitation? Are the experts’ charts too similar to the party’s charts, including e.g. typographical errors, quotation mistakes? Does the type of infringement asserted (e.g. “making” or “importing”) match the type of claim (e.g. method) and the defendant’s products/services (e.g. interactive website)? Is infringement accusation relying on mere ability to infringe, without showing actual infringement? 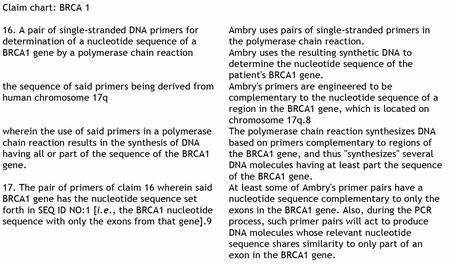 Who is carrying out each step of a method claim? ; whose product embodies all the elements of an apparatus claim? Where is infringement occurring? 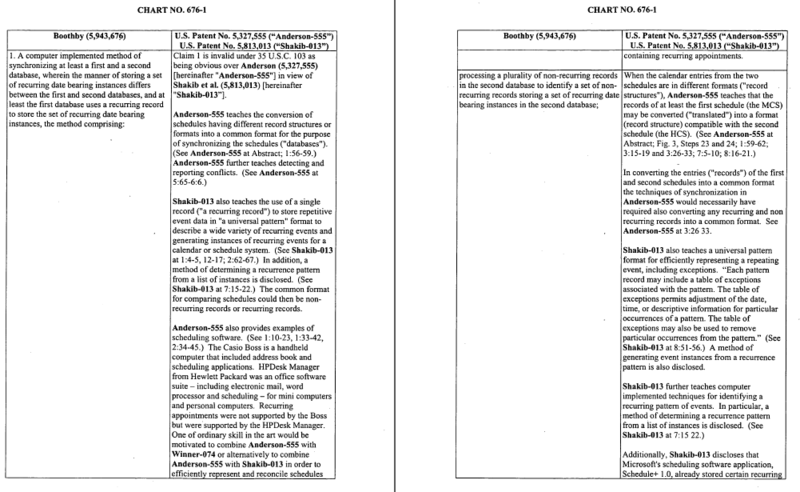 : so-called split/divided infringement; ITC importation of methods, data? Where do all the facts for each limitation “face”? 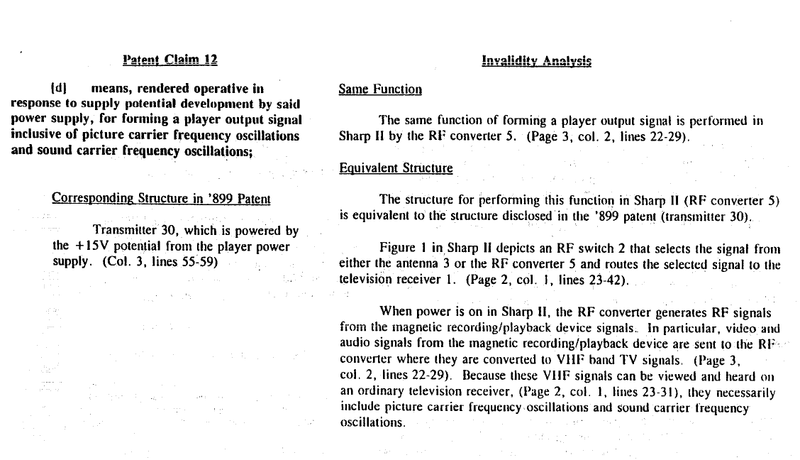 ; is it in the same “direction” as in the claim (transmitter vs. receiver, client vs. server)? Where: does the claim chart truly pinpoint the location where a limitation is located/disclosed, or is the chart engaged in mere “Ragu pointing” (“it’s in there”)? When: is the evidence cited in chart’s right column from correct date range for infringement without prior use? How do the facts (corresponding to each limitation) fit together? ; do they fit together, or is it a mere parts list? 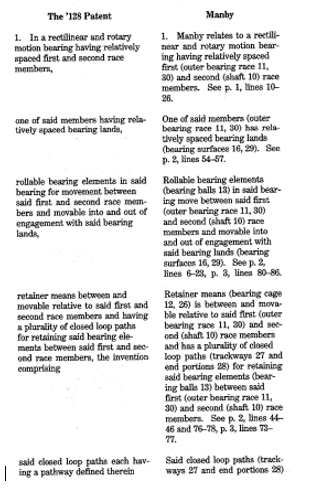 ; do connections between facts supplied for each limitation fit together in the same way as in the claim? 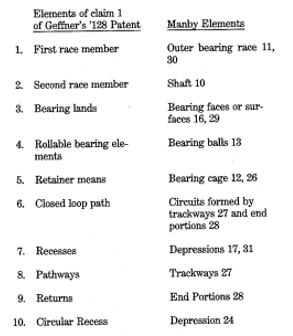 Early in case (pre-discovery, pre-Markman), not deferred after discovery as contentions rogs typically were in patent cases? 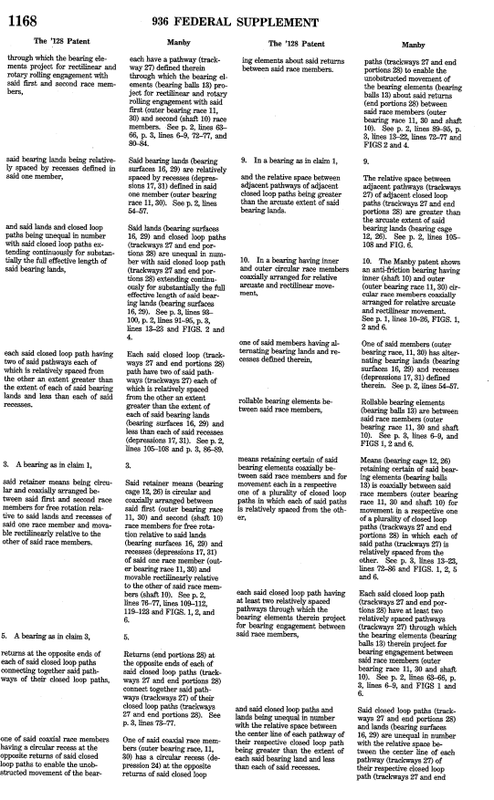 Plaintiff first (e.g. 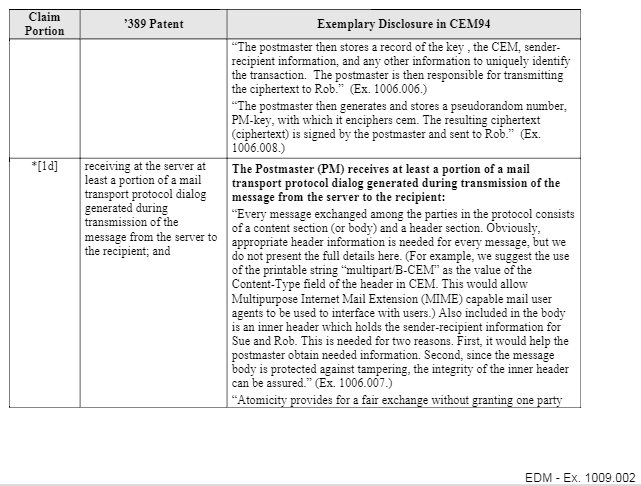 WD PA 3.4), or plaintiff/defendant exchange at the same time (e.g. ND GA 4.4(a))? 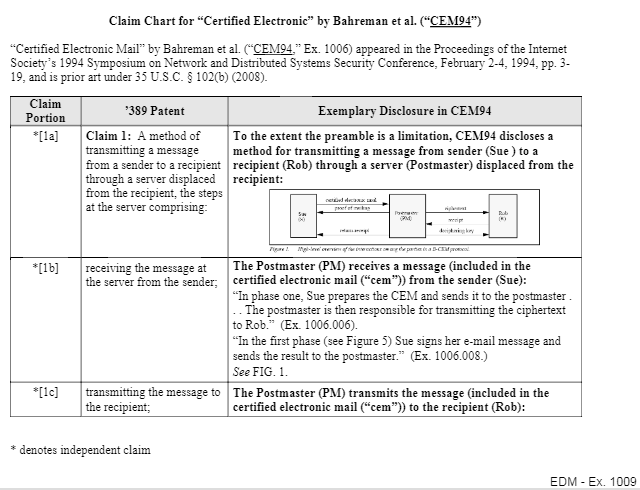 A central purpose of claim charts is to avoid the “shifting sands” or “musical chairs” approach to patent litigation (significant changes post-Markman to invalidity or infringement theories); see O2 Micro v. Monolithic Power Sys.